Rescuers said the existence of a mountain refuge hut probably saved the life of a walker on the Border Ridge. The man was given shelter and treated by a race event’s safety team after being found in a hypothermic condition last month. The incident was one of several involving the Northumberland National Park Mountain Rescue Team and North of Tyne Mountain Rescue Team during January, which saw an increase of 130 per cent for the teams over same period in the previous year. A spokesperson the Northumberland National Park team said part of the reason was severe weather conditions experienced in the region during the period. “On Saturday 16 January 2016, the teams were called at 5.55am by the Border Search and Rescue Unit after a severely hypothermic walker was found on the Border Ridge in the Cheviots by participants of the Spine Race, which covers the full 268 miles of the Pennine Way, finishing in Kirk Yetholm. “The walker had spent a considerable period of time out in the wintry hills following the event. “The casualty was initially treated and rewarmed by the Spine Race safety team who were located at the Auchope Shelter, just below Auchope Cairn on the Border Ridge. Given the seriousness of the casualty’s condition, a Coastguard helicopter from Prestwick was scrambled. The casualty was safely evacuated by 8.40am and he is expected to make a full recovery. The spokesperson said two days earlier, the two teams mobilised their 4×4 Land Rovers and a similar vehicle from the Northumberland National Park Authority joined the operation after cars had got stuck in heavy drifting snow. “The road linking Rothbury and the New Moor House crossroads on the A697 experienced some horrendous driving conditions for over an hour. Northumbria police requested mountain rescue assistance on 31 January to use the teams’ Sarloc mobile phone tracking technology after a family became lost in woodland near Hexham. The family was found by police just a few minutes later and the teams were stood down. 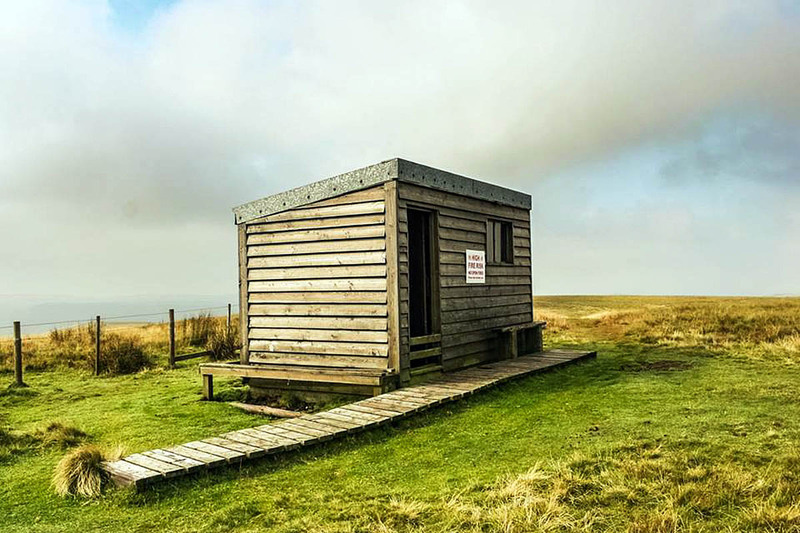 The previous week, two walkers contacted Northumbria police for help after becoming disorientated in Kielder Forest. The teams were put on standby while mountain rescue Sarloc was used. At the same time, the police sent a 4×4 vehicle, which found the walkers and drove them back to their cars. Three rescue team members were involved for 35 minutes and a further six members were ready to be deployed. Earlier in the month, police asked for the teams’ help in locating two walkers in Thrunton Woods. The two walkers and their dogs, who had set off at 3pm, became lost after darkness set in. The walkers managed to find their way to a road at Callaly where they were met by a local police officer before being transported back to their vehicle. Four team members were involved for an hour. The spokesperson added: “The teams would like to remind the public when severe weather conditions are forecast, to take sufficient warm clothing for the conditions and spare food and water with them whilst travelling, whether that is on foot or in their cars. spent many hours in the huts sheltering from the weather.